← Is it Time to Turn the Lights Out on Turkey and just Take Your Losses and Run? Joe Biden – Give Me Money To Defeat Trump & Conspiracy with Deep State? A very curious thing seems to be going on. A person donated money to Trump, all of a sudden, emails begin to arrive from Joe Biden asking for donations to the Democrats. What is really curious is that there were no emails before donating to Trump. Have the Democrats hacked the Republican donors? If anything, this is going to be a crazy election cycle with an all-out war. They have no case to actually impeach Trump on this whole Russian nonsense and I find it unbelievable how they have turned Russia into this dangerous enemy claiming they hacked the Democrats and released emails that defeated Hillary. Yet there has been NO ALLEGATION that any of the emails were fake or altered. If the Russians fabricated the emails to influence the election, then we have something. This is like someone who was robbing your house and blamed you for coming home early so they got caught. This is really a twisted affair. So they cannot impeach Trump for a Collusion with Russians, then we have the Woodward book and the New York Times OP-ED desperately trying to make a case that he is crazy and should be removed. That too seems to lead nowhere. This appears to be a grand conspiracy to so taint the airwaves that the Democrats take Congress and run the Republicans out of town. 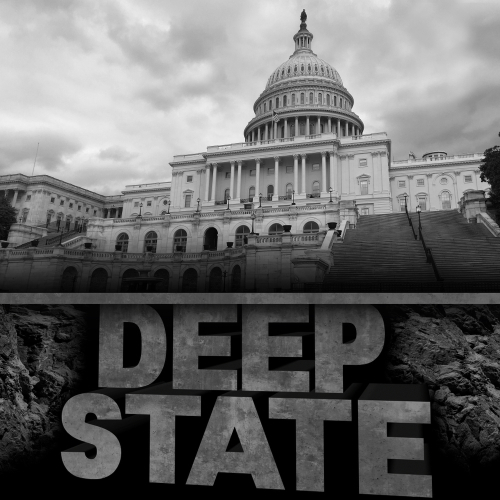 Meanwhile, it appears that there is a very serious DEEP STATE conspiracy going on here with the Democrats who began the Russia allegations and the FBI and Justice Department conspired with them to take down Trump. There is a very slow flow of incriminating evidence which seems to grow almost daily revealing that FBI and Justice Department officials both worked together with Democrats in the Obama Administration to prevent President Trump’s presidency from getting underway. The whole Russia investigation conducted by Robert Mueller must now come under serious question, and it seems likely that key FBI officials should be charged with crimes. The latest release by Congress of documents late Monday revealed an “apparent systemic culture of media leaking” among top officials at the FBI and Justice Department. This is quoting a letter that North Carolina Republican Rep. Mark Meadows sent to Deputy Attorney General Rod Rosenstein. It turns out that FBI official even discussed their “media leak strategy” before making any Trump-Russia revelations. This really is treason for bureaucrats to conspire to undermine a Democratically elected president. This is obviously at the very minimum about draining the Swamp. Newly released text messages reveal disgraced FBI official Peter Strzok asked to speak to former FBI lawyer Lisa Page about a “media leak strategy” during a crucial period of the Trump-Russia investigation in 2017. This is really getting out of hand. The problem is that we have the FBI and Department of Justice conspiring to take down a President. Regardless if you agree or disagree with Trump, this is very serious. For even if you hate Trump, this evidence suggests that whoever is in that position can be blackmailed by the bureaucrats to run the country as they demand. This is treason for it is in direct confrontation of the entire establishment of the Constitution for it rejects any vote of the people and supplants it with their personal opinions. This is no longer about Trump – this is about National Security for such people could just as easily be taking bribes from third parties domestic or foreign.